Bandura Observational Learning research papers discuss the three basic models of Bandura's observational theory. In the live model, a person learns by directly watching someone demonstrate the behavior. In the verbal instructional model, a person learns a behavior through explanations and descriptions of a behavior. In the symbolic model, a person learns a behavior through real or fictional characters encountered in books, films, television shows, and other type of media. Bandura famously explored observational learning through studies that focused on how children behaved with "Bobo dolls." In these studies, Bandura found that children who observed an adult abusing the doll were very likely to abuse the doll when left alone to play. This hinted that children tend to model the behaviors that they see and reenact those behaviors. Bendura also recognizes that internal states could influence whether individuals copied the behaviors they experienced. He found four major factors that influenced whether modeling occurred successfully: attention, retention, reproduction, and motivation. If an individual does not pay attention to the modeled behavior, then he or she is unlikely to reproduce it. Individuals with the inability to retain information also have difficulty learning behaviors through modeling. Reproducing the learned behavior makes it more likely that the person will continue to use the behavior. Finally, individuals must have either an internal or external motivation to learn the modeled behaviors properly. Bandura Social Learning research papers discuss the 3 mechanisms of learning in human beings. Social Learning Theory research papers on child development studies and theories in psychology. 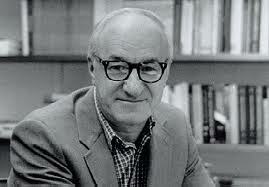 Bandura Theory Research Papers discuss Bandura's research on social learning theory. Child Behavior research papers discuss the development and behavior of children from 9 months to 4 years. Behaviorism research papers for sociology and psychology custom written for college and graduate students. Behaviorists on the Learning Process Research Papers deal with the theories of Pavlov, B.F. Skinner and John Watson. Paper Masters writes custom research papers on Bandura Observational Learning and discuss the three basic models of Bandura's observational theory.